Our product and development teams have been working to enhance our classic Apto product offering and to update existing customers with product improvements. The App Launcher now includes links to Prospect & Nurture and the new support page. Prospect & Nurture has intelligent call lists, dynamic mapping, personal context, and reminders to allow you to find new clients, and nurture existing relationships. The support site has been redesigned with new learning guides, videos, and FAQs. We now provide gross revenue forecasting reports which are based on a deal’s estimated closed date . Learn more. Four new buyers needs types (healthcare, land, mixed-use, and specialty) were added. This increases the types of buyers needs to better match property types. Custom invoice templates in Apto Commissions now allows the user to turn off the the property name. This allows those users who use the address as the street name to prevent duplication of the address on the template. 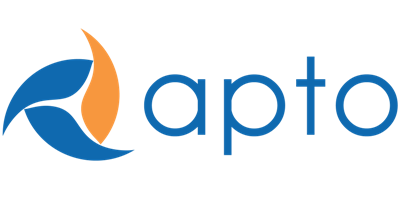 General bug fixes were completed for Apto Commissions, CRM, and Deal Management.